Despite a mixed year for the local housing market in 2018, Chicago-area Realtors handled 78,000 transactions totaling $28 billion in sales volume. The Chicago Association of Realtors held its annual awards ceremony Thursday at the Lyric Opera House, celebrating its top producers and most promising newcomers. After taking the top spot in The Real Deal’s first-ever ranking of brokerages by volume, @properties also dominated this year’s Platinum Award winners for sales volume at the CAR awards. Six individuals and teams from the hometown brokerage took home the top award of the night. Compass, the national brokerage that entered the Chicago market in late 2017, came in second, with three platinum winners. In all, six individual brokers received the platinum trophy, awarded to those with sales volume of at least $64 million. It was a good year for increasingly popular broker teams, with 16 such teams meeting that threshold. The threshold for Platinum Award winners was increased this year, perhaps thanks in part to a record-breaking year for luxury sales. In 2017, Platinum Awards were given out to individuals and broker teams with sales of at least $57 million. Eight individual brokers and 14 broker teams topped $57 million in sales volume in 2017, according to CAR. “It’s been a great year of growth,” association CEO Michelle Mills Clement said. The Chicago housing market got off to a solid start in 2018 that was followed by a severe cooling off in the second half of the year. Sales in the local market dropped by 3.7 percent, though prices rose by 3.2 percent. Chicago is forecast to have one of the weakest housing markets in 2019, though local experts believe an increase in inventory and Millennial homebuying interest could boost sales. 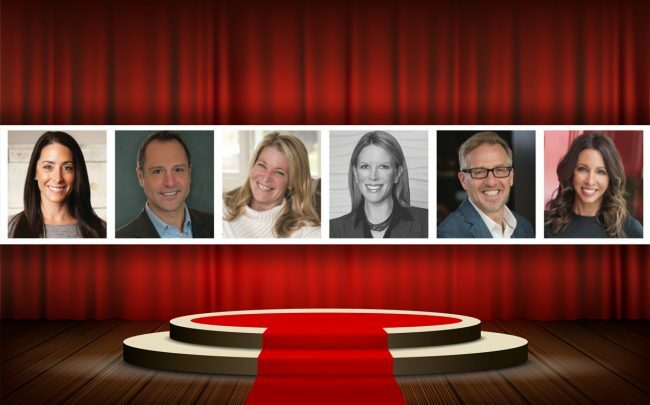 The 2018 CAR Platinum Award winners for individual sales volume are: Nancy Tassone (James Sotheby’s International Realty), Robert Picciariello (Prello Realty Incorporated), Jena Radnay (@properties), Kathleen Malone (@properties), Sam Shaffer (Chicago Properties Firm) and Carrie McCormick (@properties). Winners of the 2018 platinum award for team sales volume are: The Lowe Group (Compass), The Hebson Team (Dream Town Realty), Dawn McKenna Group Chicago (Coldwell Banker), Matt Laricy Group (Americorp), The MG Group (Berkshire Hathaway HomeServices Koenig Rubloff), Emily Sachs Wong Incorporated (@properties), Ames Group Chicago (Engel & Volkers Chicago), Leigh Marcus (@properties), The Biazar Group (North Clybourn Group), Brad Lippitz Group (Compass), Bari & Elena Real Estate Group (@properties), Barbara O’Connor & Company (Dream Town Realty), The KlopasStratton Team (Berkshire Hathaway HomeServices Koenig Rubloff), The MVP Team (Compass), Home Discovery Team (Jameson Sotheby’s International Realty) and Weingberg Choi Residential (Keller Williams Chicago-Lincoln Park). There were seven individual brokers and seven teams honored with Platinum Awards for exceeding 142 total transactions. The threshold for the award was 170 transactions in 2017, when eight individuals and five teams won it. Those winners are: Picciariello, Frank Montro (Keller Williams Preferred Realty), Gary Weglarz (Applebrook Realty Inc), Luis Ortiz (Re/Max Partners), Arthur Cirignani (Chicago Realty Partners), Abhijit Leekha (Property Economics Incorporated) and Barbara Thouvenell (P.R.S. Associates). The teams that won Platinum Awards for units sold are: Matt Laricy Group, The MG Group, The Lowe Group, The Hebson Team, Leigh Marcus, Bari & Elena Real Estate Group and The Biazar Group.